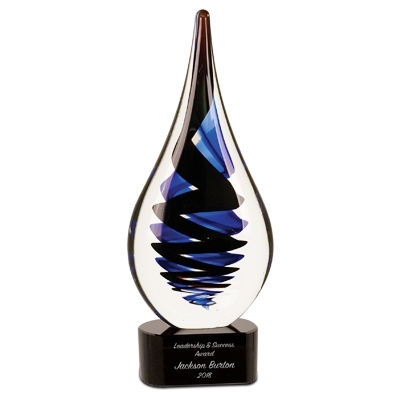 Blue and Black swirls reach to the top of this classy droplet shaped award. Your custom text is laser engraved on a black and silver metal plate at no additional charge. Your Logo can also be added to the plate.